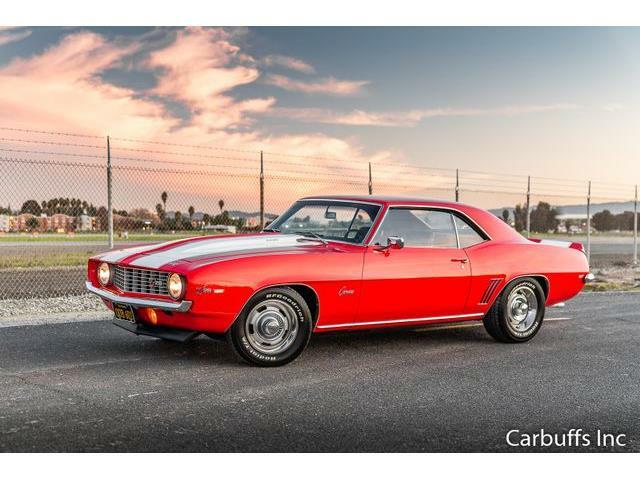 The first-generation Chevrolet Camaro went on sale in September of 1966 for the 1967 model year and ran through 1969. 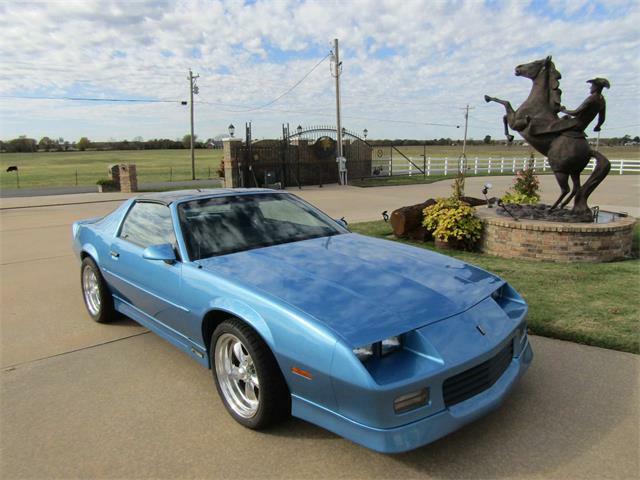 The first-generation Camaro was Chevy’s answer to the Ford Mustang. 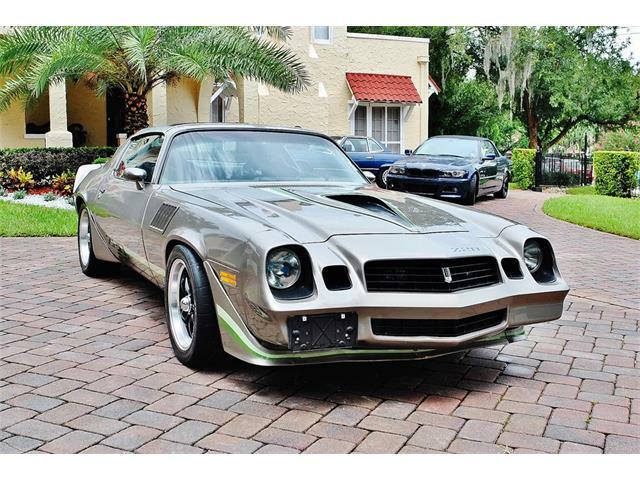 Editor’s note: This is the fourth in a 10-day series featuring cars to be sold August 6-8 at Barrett-Jackson’s Reno auction. 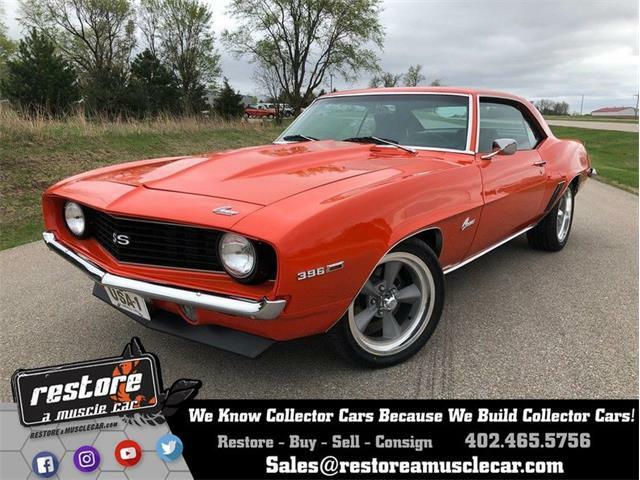 The first-generation Chevrolet Camaro went on sale in September of 1966 for the 1967 model year and ran through 1969. The first-generation Camaro was Chevy’s answer to the Ford Mustang and was a brand new rear-wheel drive GM F-body platform. 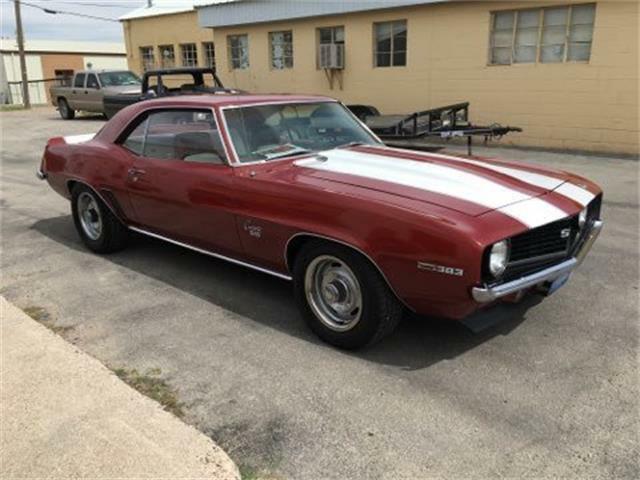 Available options for the 1969 Camaro included 12 different powertrain options. 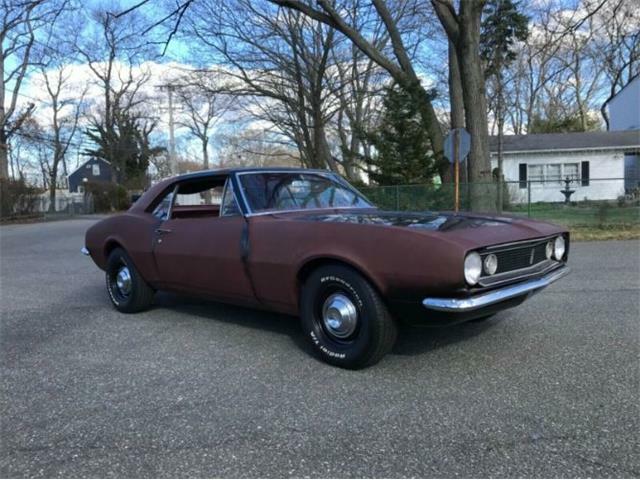 The 1969 Camaro featured all-new sheetmetal with exception of the hood and trunk, which gave the car an overall sportier look. 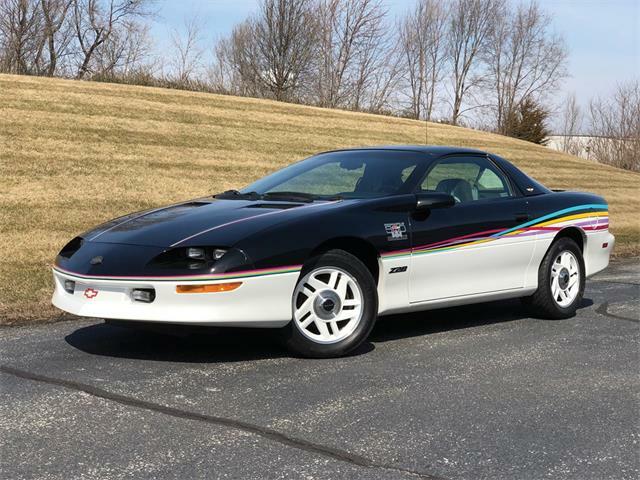 The grille was redesigned, and the new door skins, rear quarter panels, and rear valance panel also gave the car a lower and more aggressive look. 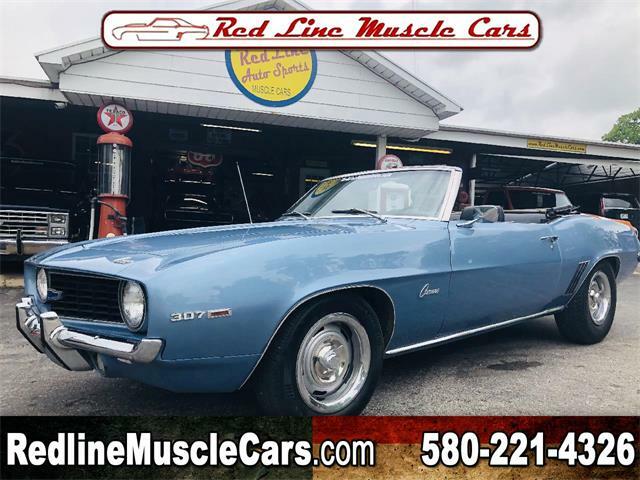 This styling was only seen on the 1969 model year with just over 90,000 cars produced that year. 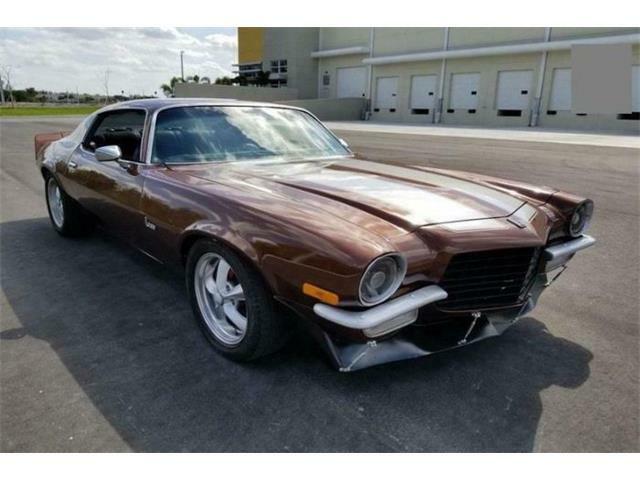 This 1969 Chevrolet Camaro is Lot No. 641, is from the Robertson Collection and has been driven only 5 miles since its build completion earlier this year. 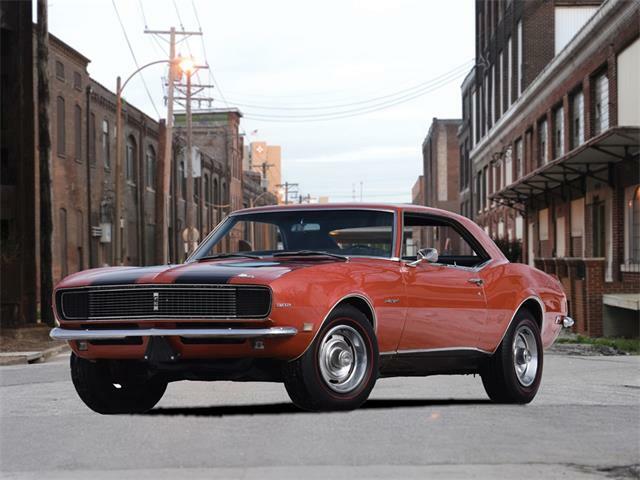 The car wears \ Hugger Orange with white stripes and features an LS3 376-cubic -nch V8 producing 550 horsepower with help from a Magnuson TVS 2300 supercharger with carbon-fiber jackshaft upgrade and a six-speed Tremec T56 Magnum manual transmission. Other modifications include billet front-drive accessories, carbon fiber intake, 98mm throttle body, billet coil covers, Be Cool aluminum radiator, dual SPAL electric fans, AFCO polished heat exchanger with dual SPAL fans, Kooks long tube headers, dual stainless mufflers, and custom stainless exhaust. The car also has a Chris Alston’s Chassisworks front clip, tubular front A-arms, power steering rack, aluminum inner fender panels, Aerospace power disc brakes, custom fabricated tubular transmission crossmember, custom fabricated subframe connectors, modified Detroit Speed Rear QUADRALink, stretched Detroit Speed mini tubs, Fab 9 sheet metal, 9-inch rear end housing, Strange 35 spline axles, and Strange 9-inch center section with Wavetrac locker. The interior features custom black leather with accent inserts, Billet Specialties steering wheel, billet pedals, Dakota Digital gauges, complete Kenwood sound system, Vintage Air air conditioning system, and Flaming River tilt column. 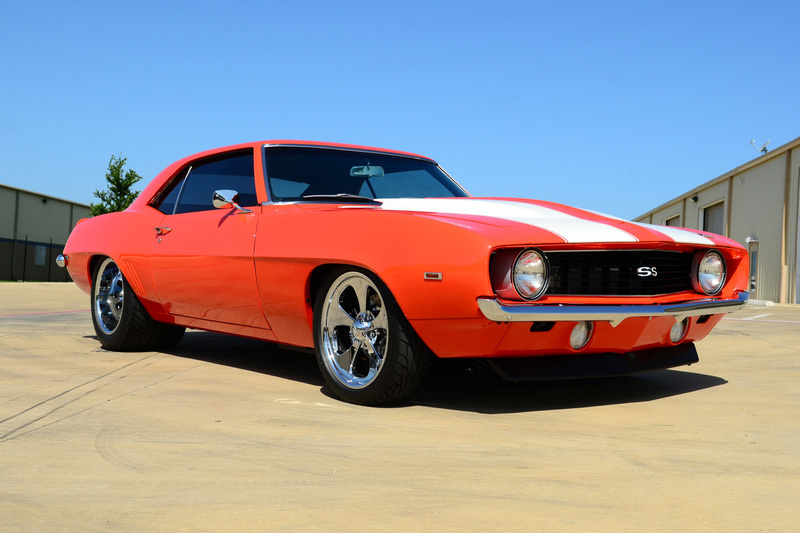 Keeping this Camaro on the ground is a set of Mickey Thompson wheels — 18×6 fronts, 20×16 rears — and Mickey Thompson Sportsman S/R tires.